For the period Apr 17, 2019 through Apr 23, 2019, there are 4 newly-issued inbred patents and 2 newly-issued hybrid patents. There are 11 newly expired inbred patents and 0 newly expired hybrid patents. Feb 6, 2019, “Other ID 1” field has been added to the Results pages of “Inbred Patents Expired or Soon to Expire”, “Inbred PVP Certificates Expired or Soon to Expire”, and “Inbred Pedigree Genetic Background Search”. This field is listed adjacent to the “Inbred Variety” field. Starting Nov 27, 2018, the details pages pertaining to various inbred information searches now lists Grand Parents (2nd previous breeding cycle) of each inbred listed on the Report page. On Mar 27, 2018, about 60 older, publicly-developed “founder” inbred lines were added to the database for more comprehensive ancestry search, even though these founder lines were never patented nor PVP-protected. This list of founder lines includes inbreds such as A632, B14, B73, C103, MO17, OH43, etc. The pedigrees of these founder lines were graciously provided with permission to publish by MBS Genetics, LLC, Ames, IA, USA. On Dec 13, 2017, a new page was added to the web site, titled “Obtaining Seed”. 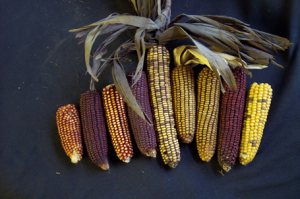 This page provides general information regarding how to obtain seed samples of patented and/or PVP-certified maize germplasm. This page is not intended as an exhaustive list of ways in which to obtain seed. However, it does provide some of the more common options. There are currently over 700 patented corn inbreds for which PVP certificates have not been issued, and over 600 PVP-certified corn inbreds for which patents have not been issued. CPIS has, through the month of September, 2016, updated our entire database in order to account for any patented corn germplasm for which patent maintenance fees were not paid, and which therefore have expired due to maintenance fee neglect according to the US Patent and Trademark Office. As of Oct 4, 2016, this database update reflects 25 corn inbred varieties and 16 corn hybrid varieties for which patents had expired prematurely due to non-payment of patent maintenance fees. These database updates are now henceforth reflected in any patent expiration date queries made. Maintenance fee non-payment activities will henceforth be monitored, and will reflect in the ongoing weekly database updates. To see if a particular patent has expired due to non-payment of maintenance fees, please check the Details page for an expired variety. If an expired variety has a date listed for “Abandoned_Maintenance_Fee”, the patent was expired on the date listed.